Before try to update or install new iOS on your device we have to take a backup before update iOS on your XS Max/ XS/ XR/X//8/7/6S/6/SE, iPad all version and iPod Touch. Such a significant and considerable improvements in new iOS, Millions of iOS users are waiting for time to start the update. But before that time you have to keep the backup in your system (Mac/ PC), it’s hence that there are many possibilities for getting an error on update iOS from old iOS to latest iOS. After that, you can freely download and install new iOS to your device directly over the Wi-Fi from setting app. From the history, many folks got Error 403, Error 9004, error 3194 and many such due to server down, miss-configuration and space problem or internal error. Now, During the backup time you have two possibilities: on your Mac/ PC using iTunes and the other one is using iCloud (Online Backup). But due to less space in iCloud user go with the offline backup. Step 1: Connect your iOS device to your Mac/ PC through lighting cable. Step 2: Open iTunes on your Mac/ PC. Step 3: Once your device configured with iTunes, Device with the name appears on the top tab. Step 4: Click on it, and under the summery, you can see an option to take a backup your current iOS and data, Apps and more very fast locally. Note: verify you last backup data also available under the back up now button. Wait for the time; it will depend on how much backup is available. Otherwise, you can take manual backup for today and hours also. 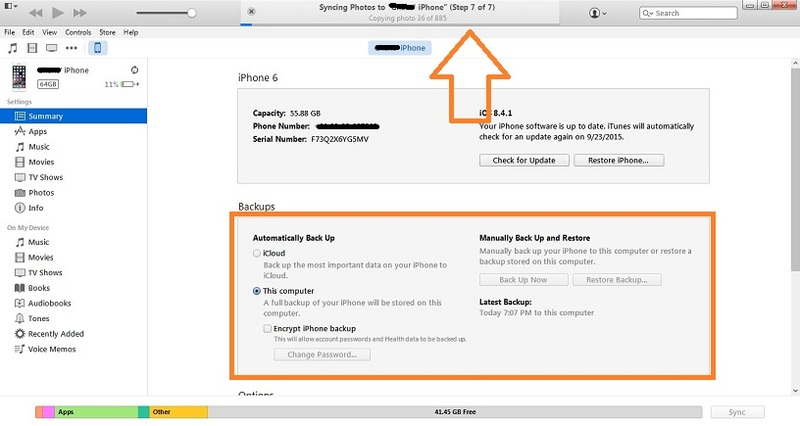 Step 2: Next, iCloud > Backup > iCloud Backup. 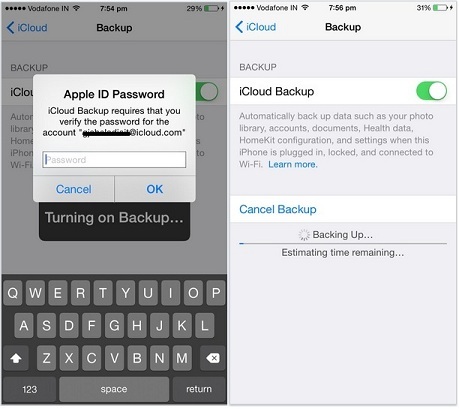 – Enable iCloud Backup. 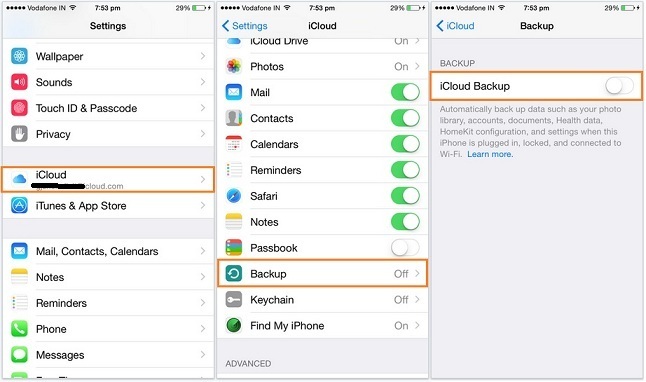 In latest iOS 11 or later user follow this path – Go to Settings App – Tap on Profile banner that appears above the AirPlane mode tab – Tap on iCloud – Scroll down the screen to iCloud Backup – Turn toggle iCloud Backup ON/Green – You will get a Popup Start iCloud BackUp tap OK. Now to take a fresh backup tap on Back UP Now. That’s it! Step 3: iCloud password required for the security reason. Enter valid iCloud password. Step 4: After successfully login, your screen should be like in below. Step 5: Tap on Backup now. For start backup your photo library, Accounts, Document, health data, and Setting. Process will be shown in the same screen. Hopefully, you Take a backup before update iOS on your iPhone, iPad or iPod Touch. Please ask up if any problem and Question related backup, share with us on below comment box.